"Vox amps are the perfect mix of old school tone and modern detail that I have been looking for!" Matt Smith is most commonly known as the lead guitar player of Australian rock/pop band Thirsty Merc. 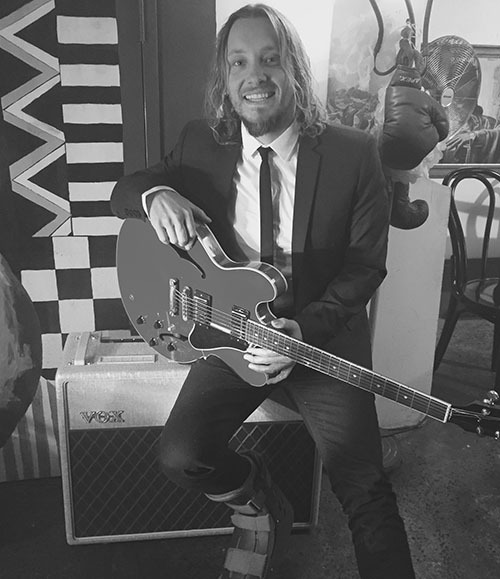 However, he keeps busy in the Australian music scene as a session guitar player recording and touring with artists like Pete Murray, Karise Eden, James Morrison, and The Strides. Over the years Matt has also performed with artists such as Meatloaf, Jimmy Barnes, Kate Ceberano, John Butler, Leo Sayer, Rick Price and many more.